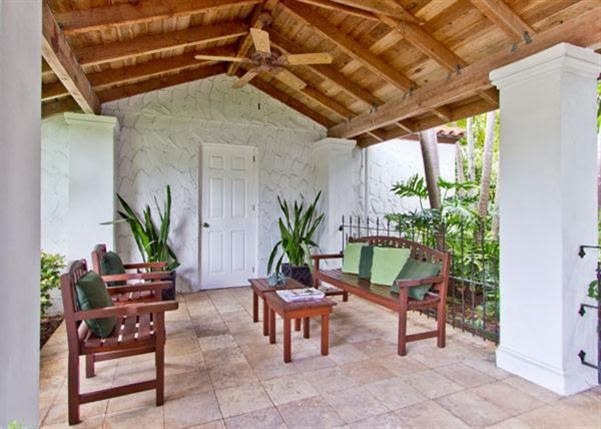 The home located at 4125 Eagle Avenue is immediately recognizable to anyone who’s spent much time in Key West. 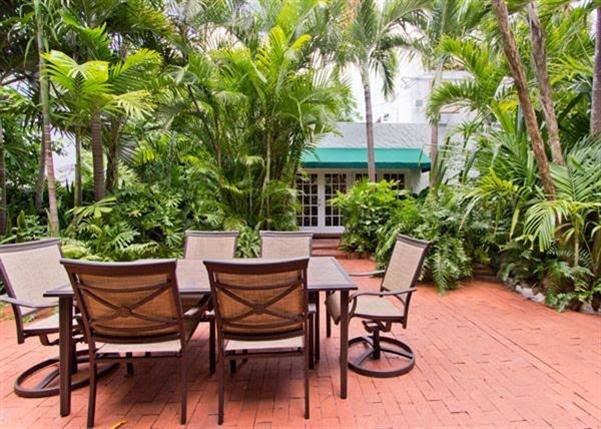 With its sprawling manicured front lawn and its Spanish Deco façade, the home reminds me of a castle, but with all the comforts and attributes of your perfect Key West casa in paradise. Built in 1926, you get the best of both historic and modern in this large, two-story home and cottage (legal rental) on a 9,600 (!) square foot lot in New Town. The main house is 1,944 square feet and has two bedrooms, three full baths, remodeled kitchen, formal dining room, living room, den and study on two floors. A 390-square-foot detached CBS garage was added in 1993, connected by a beautiful, covered, finished outdoor portico. This sitting area gives you an additional 300 square feet of outdoor living space, which turns out to be one of my favorite parts of this property. Covered outdoor portico adds even more living space to this large home. 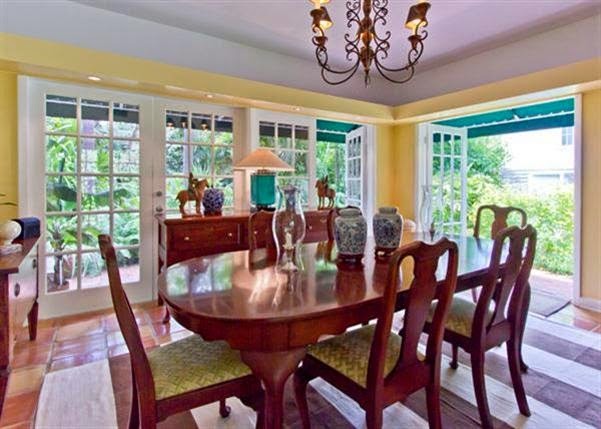 Large dining room with French doors letting in sunlight and breezes. 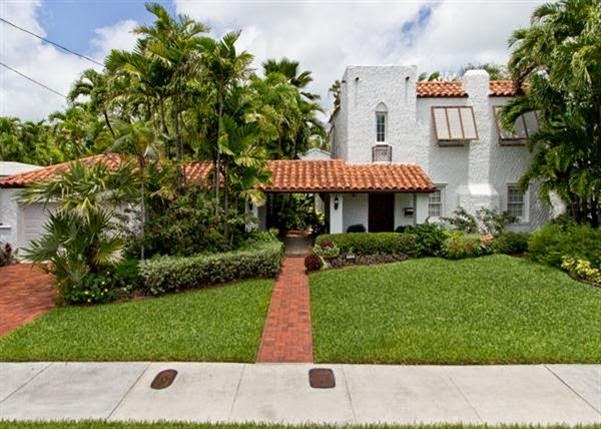 The interior of the home is clean, open, bright and airy with plenty of windows, French doors in almost every room, ceramic Spanish tile, granite countertops and tasteful decorating and paint colors. Living room, main entry and stairway to second floor. 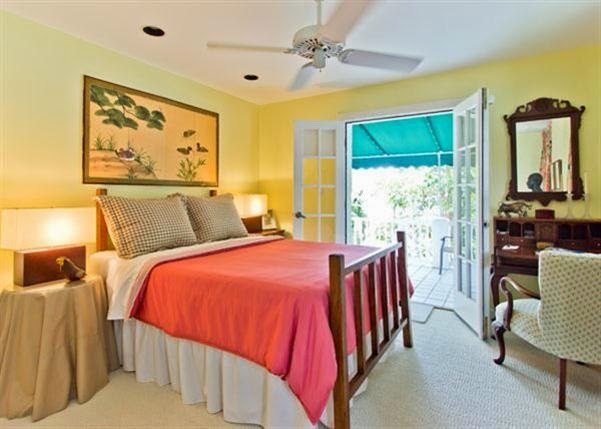 The second floor features a large covered porch off the master bedroom. 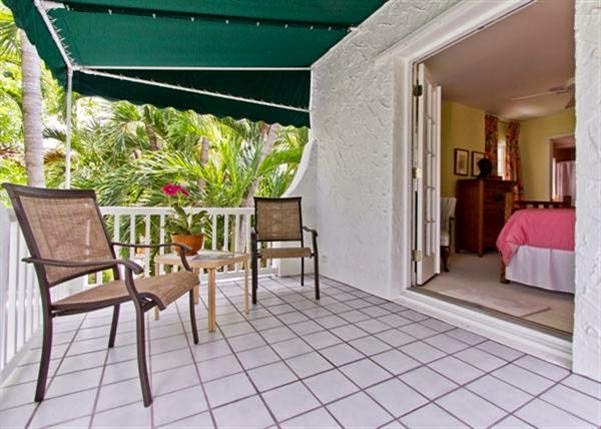 What a perfect way to wind down at the end of the day but with a cocktail on your upper deck looking down on your expansive grounds with mature tropical foliage, fish pond, large brick patio and a secret garden. Second floor balcony off bedroom. Second floor bedroom with balcony. 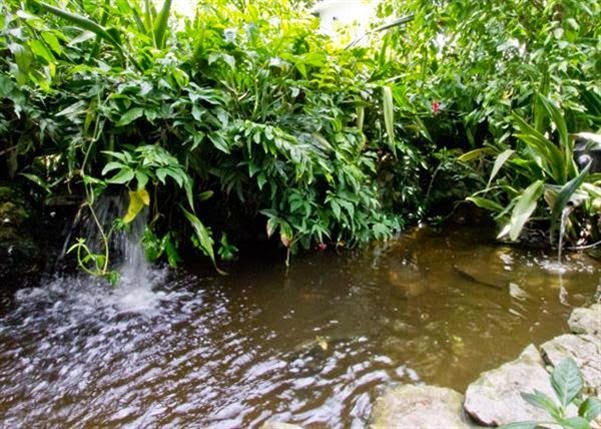 Your very own fish pond! Two-story cottage on property with workshop & legal rental apartment. The delightful two-story cottage features a downstairs workshop with an inviting one-bedroom, one-bath apartment upstairs that makes this home a legal duplex. 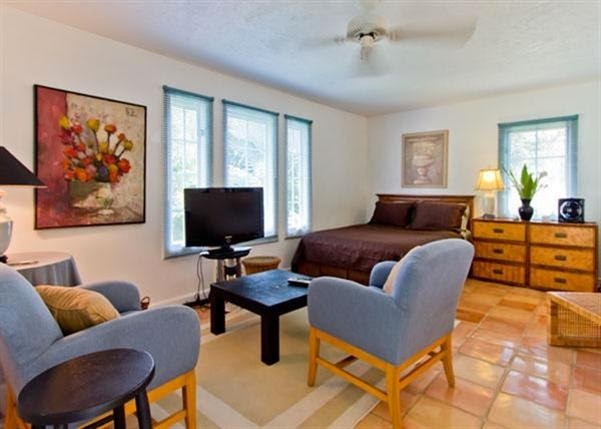 Having this designation means a great deal in Key West since there are strict regulations as to what can be rented. 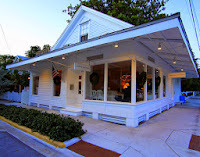 Most “mother-in-law” cottages in Key West cannot be legally rented, taking away a prime source of income for owners. 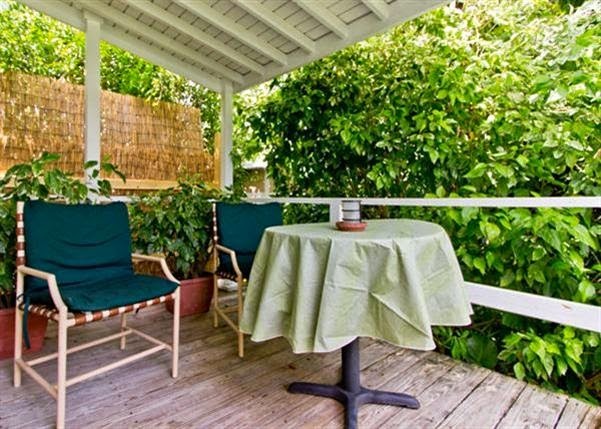 You will have no trouble renting out this sweet apartment (324 square feet) with its own wood deck, or keep it as a guest cottage, writers studio or workshop. 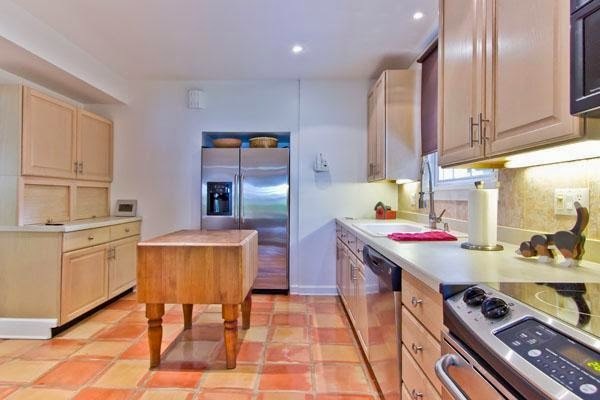 Detached cottage features a studio apartment with kitchen and bath. Cute, modern kitchen in rental unit (detached cottage). Studio apartment in detached cottage has its own wood deck. 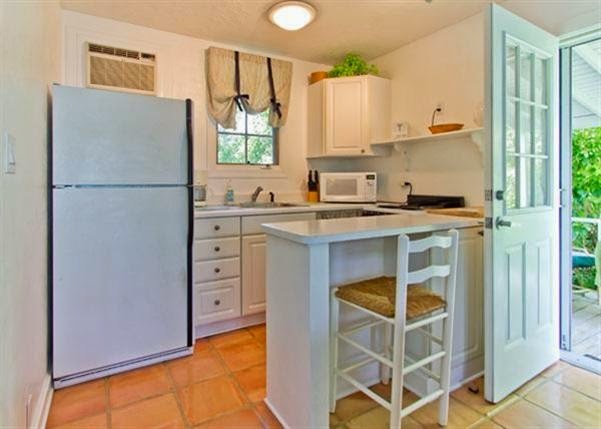 Spacious remodeled kitchen with lots of counter space and new, stainless steel appliances. 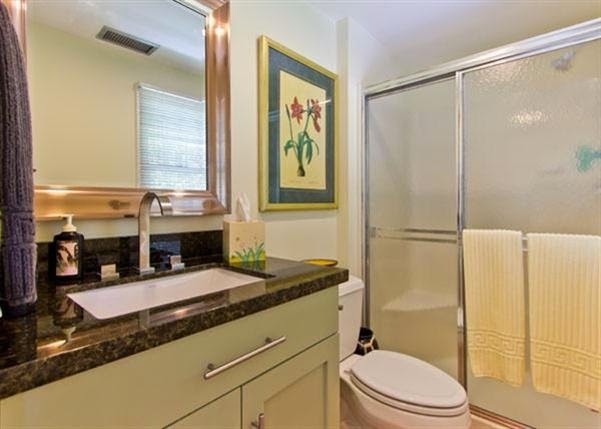 All three bathrooms in this home have been remodeled. 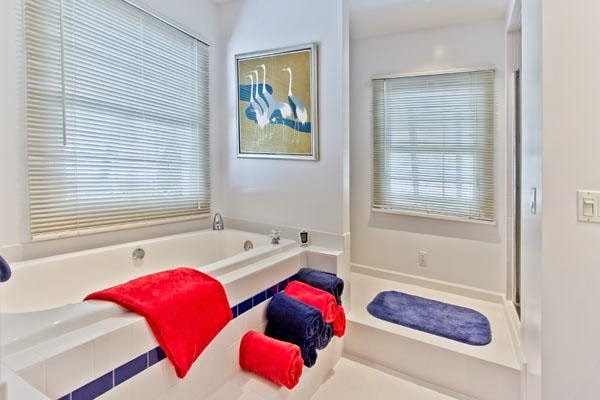 One of the three spacious, upgraded bathrooms in the home. 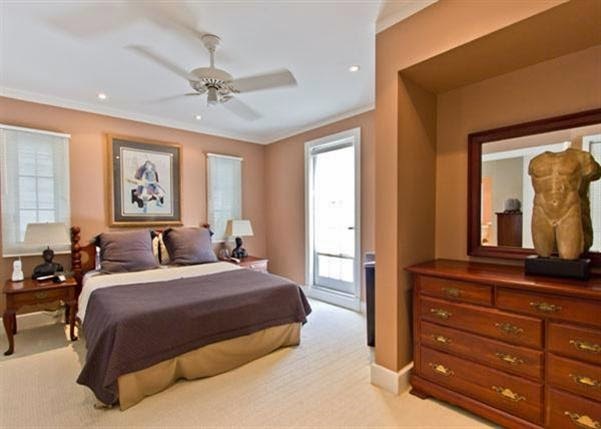 Second bedroom on upper floor. 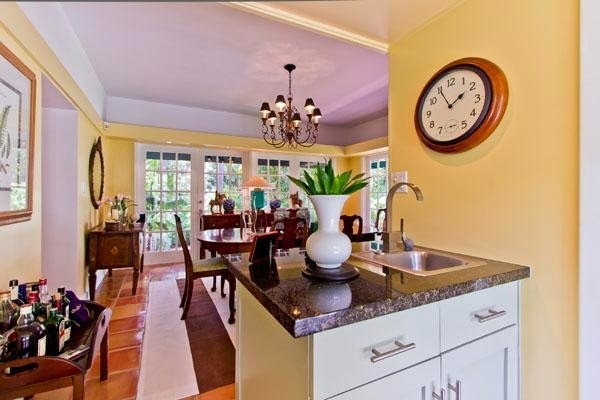 This is truly a “New Town” home, located on one of the most beautiful streets in the neighborhood. It’s a great place to live if you want quiet and privacy, with easy access by car to the beach, golf course, shopping or a quick getaway off the island. By purchasing a home in this neighborhood, you’ll get a lot more for your money than you would in historic old town. And remember, the island is only 4 miles by 3 miles, so the touristy Duval Street is still only a few minutes drive across the island. Priced at $999,000, you’re looking at $440.48/sq. 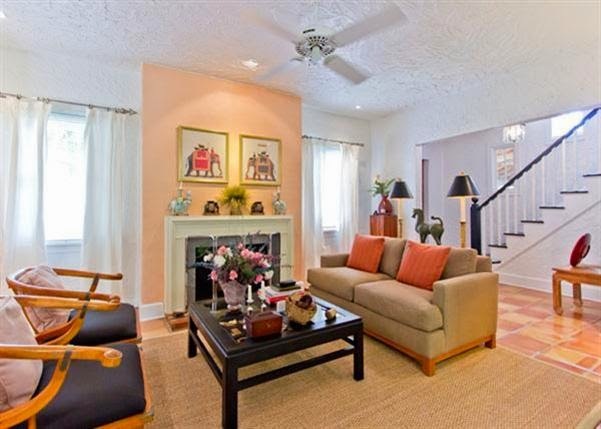 ft. for 2,268 square feet of living space in the main home and cottage. Keep in mind, this number does NOT include the lower level of the cottage (workshop area), the outdoor portico or the garage. View the listing here. I’d love to show you around this unique new town property with its historic flair. 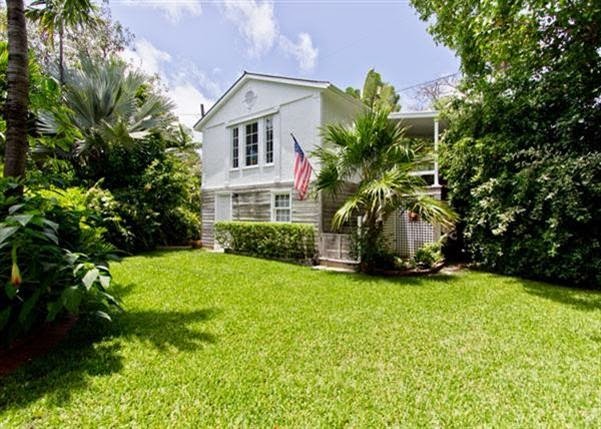 Call me at 305-304-1708 to schedule a viewing today.